Get Creative! ArtsQuest offers guided tours and art-making activities for all ages. For school groups, trips can be customized to the classroom’s current curriculum. 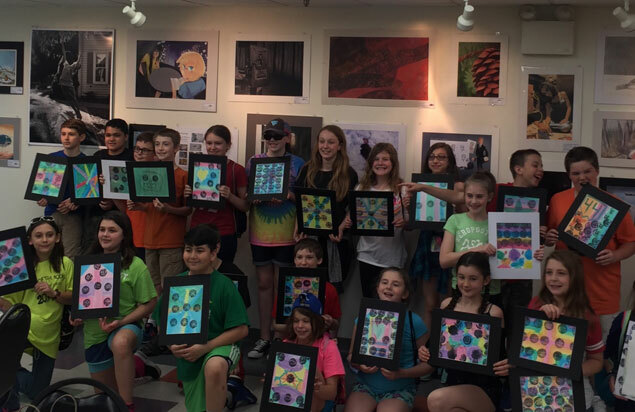 All K-12 visits incorporate PA State Standards for Visual Arts. Activities take place at a variety of locations on the ArtsQuest campus including the Banana Factory and the SteelStacks campus. Students will explore art and culture in a guided tour of current exhibitions and artist studios at the Banana Factory. Students will have the opportunity to meet Resident Artists and have the option to complete an Art Scavenger Hunt. This special program pairs a 30-45 minute guided visit in the galleries and artist studios with a 45-minute art-making activity in one of the Banana Factory studios or classrooms. After exploring and discussing different works of art in the galleries, students create their own unique objects to take home. Creative challenges encourage material exploration, creative thinking, and problem-solving. 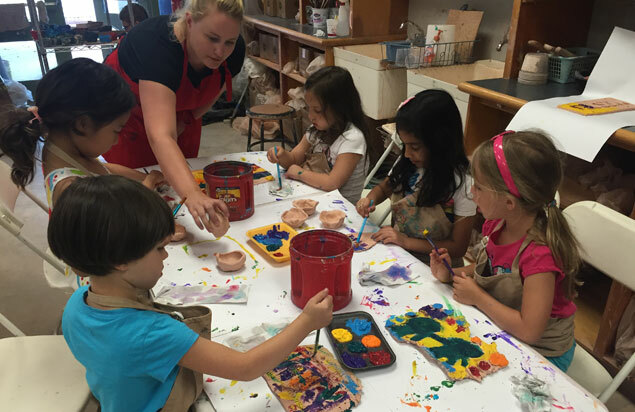 All art-making workshops are led by professional Teaching Artists. Start your glass making experience with Intro to Furnace Working. In this class, students will create works of art from molten glass in a variety of forms using solid working and glass blowing techniques. This is a 3 hour class. No experience necessary. ArtsQuest is committed to providing learning experiences for kids, teens, and adults of all abilities. We tailor our programs to fit the needs, abilities, and interests of people with disabilities of all ages. Choose a guided visit—including a tour and art-making experience—a self-guided visit to explore the galleries with your group on your own, or a program at your site for those unable to travel to ArtsQuest. ArtsQuest is committed to making its collection, buildings, programs, and services accessible to all audiences. Advance reservations are required for all adult and student groups of 10 or more, and for any third-party guided tours, regardless of size. 45-minute guided tours are led by trained ArtsQuest staff and docents and offer extraordinary opportunities for your group to make the most of their encounters with works of art. Your visit will include close examination and lively discussions of works of art. One guide is provided for every 25 people, depending upon the topic. Learn the basics of weaving on a miniature cardboard loom with an ArtsQuest Teaching Artist. Once students have learned weaving terminology and mastered a basket weave, we experiment with more complicated weaving patterns.